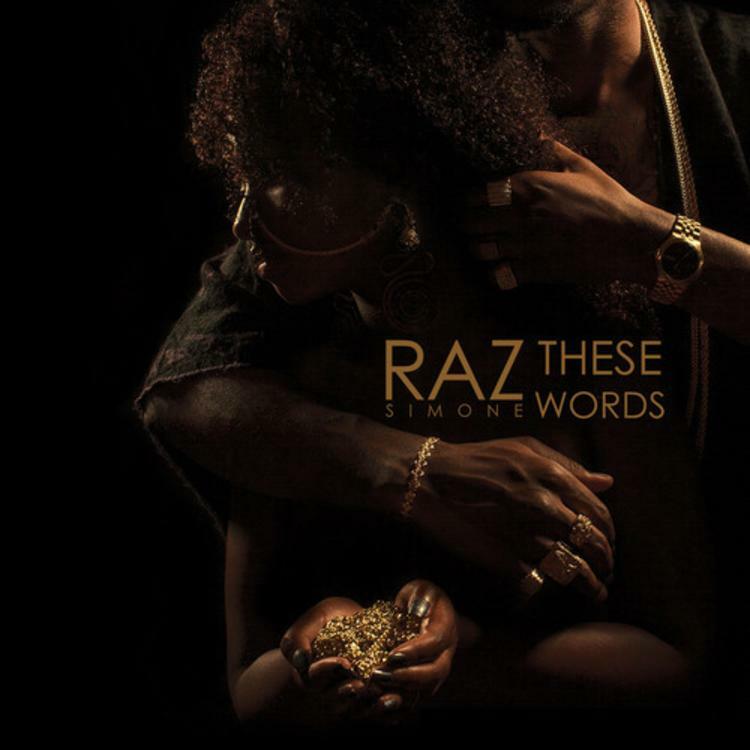 One thing's immediately apparent when looking at the artwork for Raz Simone's new track "These Words": the dude really likes his gold chains. Not only is he wearing ones on his neck and wrist, but the girl pictured is also wearing one hooked to her nose and ear, in addition to holding a handful of even more chains. Beyond that, a moody element is also visible in the dimly-lit cover, and that (unlike the chain obsession) is carried through to the music. "These Words" is a smokey, somewhat depressing track that's bolstered by some fantastic production. Good looks from Raz Simone.